The kindergarten operates from Monday to Friday 8:45am - 12:45pm. The class size is designed to be small with teacher –student ratio at 1 to 10, to provide individual attention to each child. Christian values are emphasized with Biblical teachings integrated into the program. Emphasis is on establishing literacy and developing mathematic fundamentals as well as nurturing social skills through conversation, play, music, and physical activities. Social studies and science are integrated through thematic teaching. 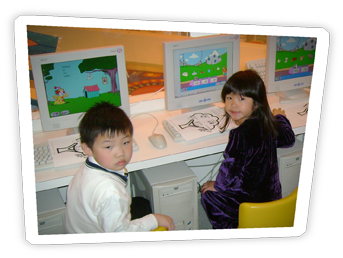 Computer literacy is taught with specifically designed program for the kindergarten students. We continue to nurture self-confidence through oral speaking and in drama and skits.